Passion and enthusiasm is a key attribute in the real estate industry. After over 7 years in the industry, Sarah has proven herself time and time again to exceed vendor’s expectations and provide a great service to all parties involved in a transaction. Having successfully negotiated some tough deals, vendors choosing to list their home with Sarah will know she always has their best interests at heart. From day one her primary focus is on developing a professional marketing strategy designed around your home to get it sold for the best price in the shortest time. Sarah’s approach is unlike others, she has prided herself on having a soft, friendly and non-pushy approach with purchasers, encouraging them to make the best decision when the time is right. This approach has led to Sarah consistently holding top achievement awards with Professionals nationwide. 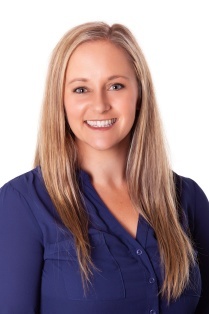 Born and raised in Waitara, Sarah has had a passion for real estate from a young age and from a tender age of 19 made the bold move to start selling real estate. Sarah’s passion for her chosen career sees her putting endless hours of hard work in to helping her vendors get the results they require. Sarah prides herself on being the following; Professional - Professional workers take responsibility for their own actions and work effectively with others. Sarah is committed to practising professionalism in all business dealings to deliver a high quality service with honesty and integrity. Motivated - Sarah is motivated, enthusiastic and willing to do what it takes to get the job done and achieve the very best possible results for you. She strives to obtain and maintain an outstanding name for herself as this is not just a one year wonder for her. It is a career path and a life she has chosen. Energy - Being youthful and enthusiastic gives Sarah the greatest foundations you could possibly want in your real estate agent. Sarah works tirelessly around the clock being available at all hours to answer enquiries regarding your home and also those of buyers, working towards reaching your real estate goals. Here at Professionals we are always ready to combine and use our knowledge to help you sell your property. Sarah has set high goals in real estate and has planned the path to achieving these. Choosing Sarah to represent your property interests (be it as a buyer or seller) in today’s market, would be to take advantage of her drive, energy and enthusiasm to produce the very best results. Contact Sarah Bentley-Korff today for any of your property needs.